traditional psychological crisis interventions may be effectively integrated. Chaplains, pastoral counselors, mental health professionals, ministers, and anyone interested in the use of the faith-based resources in healing should find this course of interest. Program Highlights: Nature of human crisis; Nature of crisis intervention; Critical Incident Stress Management (CISM); Signs and symptoms of the crisis state; The “crisis of faith”; Criteria for psychological triage; Strategic SAFER-PCI Model; Common PCI Mistakes; Challenging PCIs: Completion of “Pastoral Crisis Intervention” and receipt of a certificate indicating full attendance (13 Contact Hours) qualifies as a class in ICISF’s Certificate of Specialized Training Program. to these questions, even as we wrestle with them ourselves. Theodicy is the attempt to reconcile our faith and beliefs with our personal experience of pain, suffering and evil. This course conceptualizes theodicy as a process using a seven-factor model people commonly employ to reconcile incongruities between their faith and experience. It will teach care givers to listen for key words and phrases that indicate where individuals are in this process and to help assess its potential to contribute to post-traumatic injury or post-traumatic growth. constant exposure to the suffering and questions of others. Course objectives: Understand key terms related to theodicy, trauma, post traumatic stress and post traumatic growth. Understand the seven factors involved in constructing theodicy. Be able to identify each factor and how it is expressed in the course of a conversation and possible interventions. Be able to evaluate and assess the risks and strengths created by theodicy disruption and a person’s ability to reconcile beliefs with actual experience. Be able to address these issues within the SAFER intervention model. Understand how failure to progress through the theodicy process can contribute to or exacerbate post traumatic stress. Understand how continued progress through the theodicy process can contribute to behaviors identified with post traumatic growth. Understand the unique challenge presented by recurrent and multiple traumatic events. Understand the challenges and risks associated with vicarious traumatization and cumulative exposure on the theodicy process. Have tools to reflect upon your own thinking and journey as you and others in the process. The Rev Dr. Edgar Hatcher is a retired Air Force Chaplain with 38 years of pastoral experience. He is an approved instructor for more than 15 different international Critical Incident Stress Foundation courses and holds all ICISF Certificates of Specialized Training. A lifetime member of the National Organization for Victim Assistance, he also teaches courses in Psychological First Aid, Theodicy and Trauma, and Clergy Sexual Assault Response. 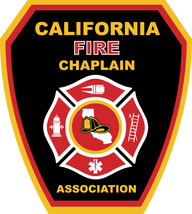 Chaplain Ed is the Associate Director of the Midwest Region of the Federation of Fire Chaplains and Secretary/Treasurer of the Missouri Fire Chaplain Corps. A licensed Professional Counselor, Ed holds a doctorate in Pastoral Counseling from Argosy University, and a Master’s in Mental Health Counseling from Capella University. He serves as pastor of Peace Lutheran Church in Sullivan, Missouri, and is active in the Evangelical Lutheran Church in America’s outreach to military veterans and their families. Hotel reservations can be made on your own, we recommend The Holiday Inn Burbank, or through any web-based service such as Trip Advisor, Expedia.com, Hotels.com, etc. Classroom hours are 08:30 am on Tuesday and Thursday and 08:00 am on Wednesday and Friday.